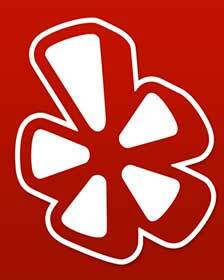 We Serve Quality Please Check Our Reviews. 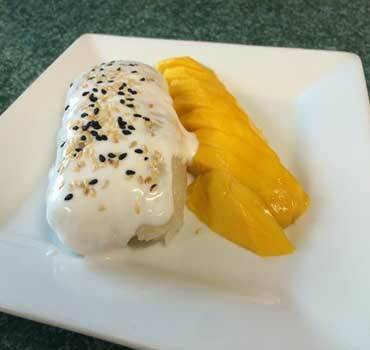 Best Thai restaurant in Broomfield CO.
We donâ€™t make it until you order it! 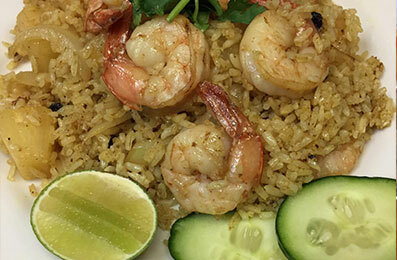 Enjoy a great dining experience and great Thai food!. Welcome to Chang Thai Noodle! 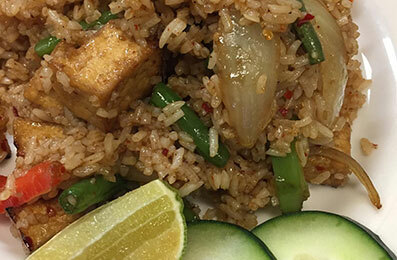 You are about to experience they very best Thai food, prepared from scratch, using only the best ingredients. 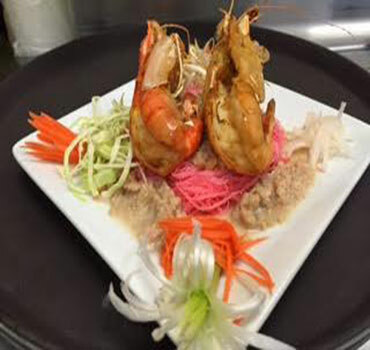 Every dish is prepared personally by Chef Tong. At busy times your meal may take a little longer â€“ we apologize for that â€“ but please know that Tong will not compromise her high standards. We hope you enjoy your meal. Thank you! 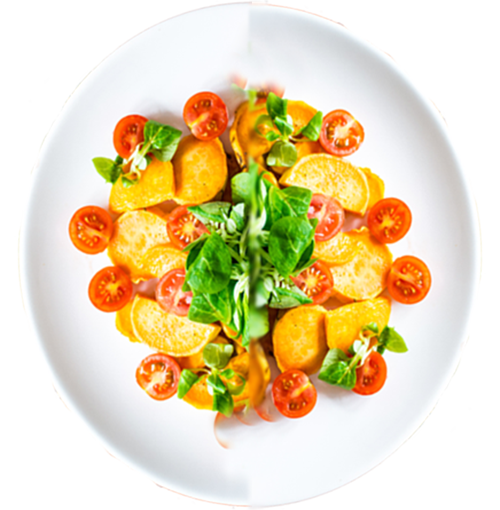 Some of our dishes list eggs (or other animal products) as an ingredient, but if you tell us that you are vegan, or want vegan, you can rest assured that none of the non-vegan ingredients will be in your food! Thatâ€™s easy to do, because we make every dish individually â€“ just for you. â€“ Chef Tong, Owner (and vegan). I had almost forgotten what massaman curry tastes like. 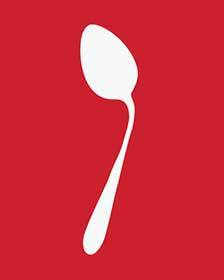 Itâ€™d been exactly a decade since I became obsessed with it in Thailand and ate it three times a day for every meal. But just about every bowl Iâ€™d tried back here in Colorado had been a coconut milky broth disguised as massaman, but definitely not massaman. And then, somehow, in what can only be described as a minor massaman miracle, I found tiny Chang Thai (pronounced Chong, and meaning â€œâ€˜elephantâ€�) in Broomfield. CHOICE OF: CHICKEN, TOFU, SOY MEAT or VEGGIE. Green beans, onion, basil, bamboo shoot, chili garlic and bell pepper. Broccoli, onion, bell pepper, garlic with brown sauce. 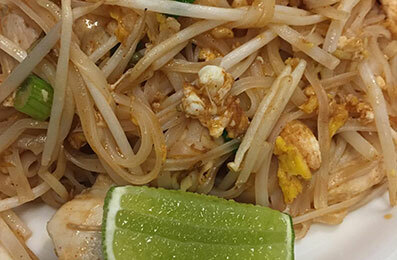 Thin rice noodle, eggs, green onion, bean sprout, ground peanut & wedge of fresh lime. Carrot, eggs, green beans and onion served with lime. 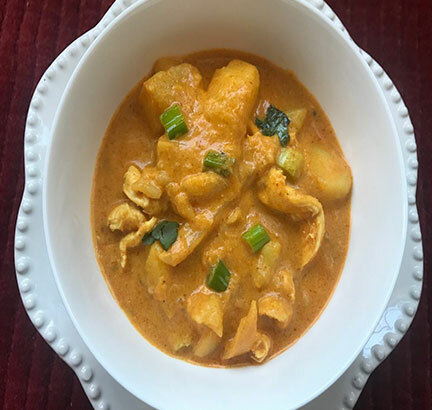 Red curry paste with coconut milk, bamboo shoot, and basil. Wide rice noodle stir-fried with bell pepper, green beans, basil, onion and chili garlic. Baby corn, carrot, and mixed vegetables. Rice and barbecue pork with red sauce and cucumbers. Jasmine rice cooked with curry powder (Indian spice) with chicken legs served with sweet chili sauce. JGreen beans, onion, basil, bamboo shoot, chili garlic and bell pepper.. Carrot, cabbage, and grass noodle wrap with wonton skin served with sweet and sour sauce. Egg, carrot, green bean and onion. 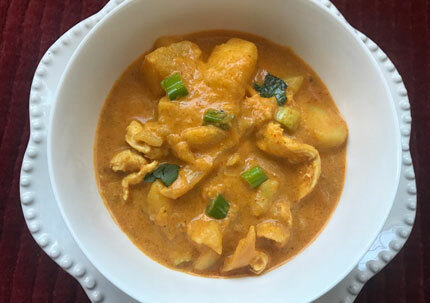 Homemade curry paste with coconut milk, mix special spice, onion, potato, and ground peanut. 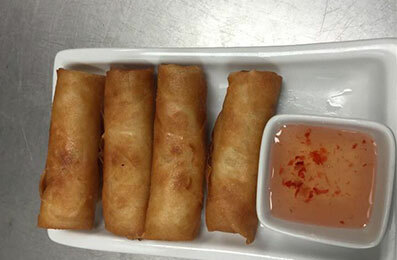 Crab meat, cream cheese wrapped with crispy wonton skin served with sweet and sour sauce. 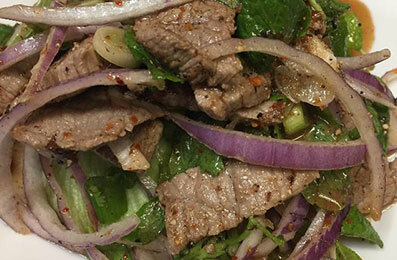 Grilled beef, onion cilantro, roasted rice powder, lime juice, lime leaf, and mint. Thai-herb seasoned quarter chicken fried, served with sweet chili sauce or medium spicy sauce. Ground peanut, lime, green onion, cilantro and bean sprout. 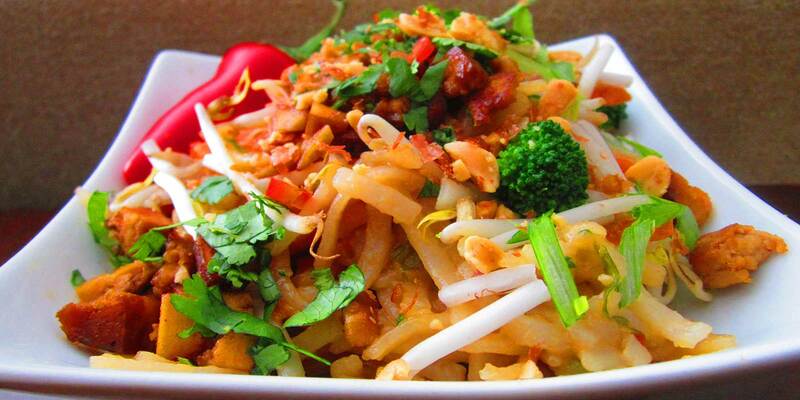 Let Chang Thai Noodle cater your next small or large group event. 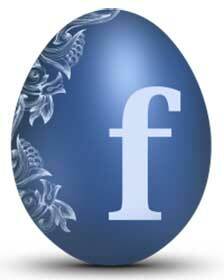 Contact us at 303-464-9888 for more information. We don't make it until you order it! 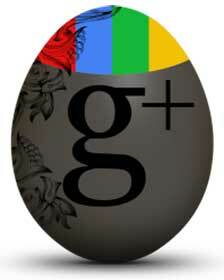 We never take the shortcut or sacrifice quality for cost. Green beans, onion, basil, bamboo shoot, chili garlic and bell pepper..
Baby corn, carrot and mixed vegetables. Broccoli, onion, bell pepper, chili garlic. 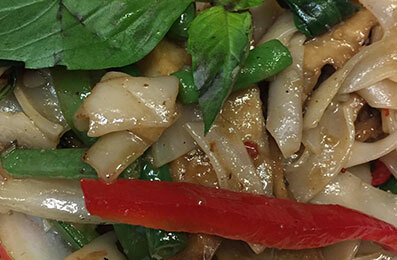 Choice of meat stir-fried with mushroom, green bean, onion, basil leaves, and bell pepper. 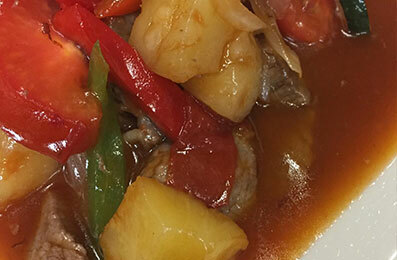 Choice of meat stir-fried with cucumber, bell pepper, onion, pineapple, and tomato in sweet and sour sauce. Choice of meat stir-fried with garlic sauce, served with mixed vegetables, cucumber, and topped with crispy golden garlic. Tofu, onion, cilantro, roasted rice powder, lime juice, lime leaf, and mint. Homemade red curry paste with coconut milk, bell pepper, bamboo shoot, and basil. Pineapple, bell pepper, basil, carrot in coconut milk. Bell pepper, green bean, onion, basil, and chili garlic. Pineapple, curry powder, raisin, onion served with lime. Deep fried, served with house sauce. Corrot,cucumber,lettuce,red onion,tomato with peanut sauce. 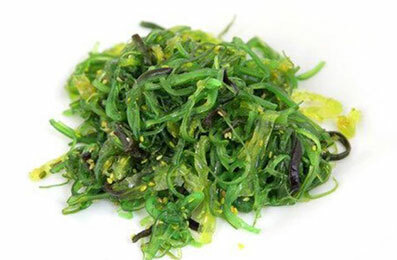 Green wakame seaweed with sesame vinaigrette. Green papaya, carrot, green bean, tomato, peanut, special sauce. CHOICE OF : CHICKEN, TOFU, SOY MEAT OR VEGGIE. Thin rice noodle stir-fried with eggs, green onion, bean sprout, ground peanut and a wedge of fresh lime. Wide rice noodle stir-fried green beans, bell pepper, onions, basil, and garlic chili. Wide rice noodle stir-fried with eggs, Chinese broccoli, carrot, and baby corn. Choice of meat, bean sprout, green onion and garlic oil. Soft noodle with curry topping chicken legs and crispy noodle. Egg noodles with barbecue pork, bean sprouts, green onions, cilantro, garlic oil. 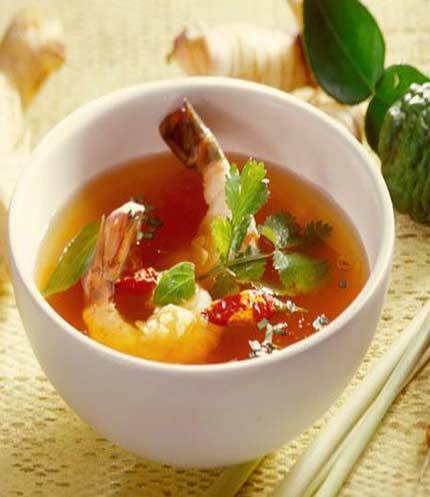 Chicken, seafood, or vegetable, with fresh spicy herb soup, lemongrass, galangal, tomato, fresh chili, lemon juice, cilantro, mushroom. 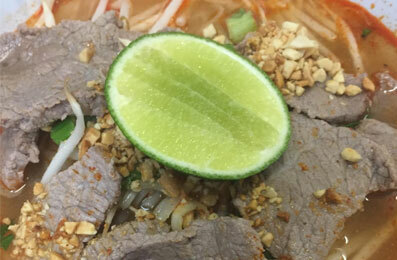 we will be glad to answer your questions about Chang Thai Noodle. We invite you to bring all appetites! 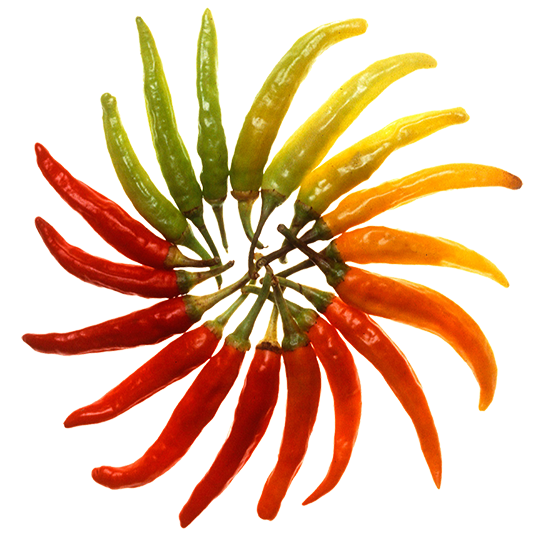 We have a diverse menu and can satisfy even the pickiest diners. 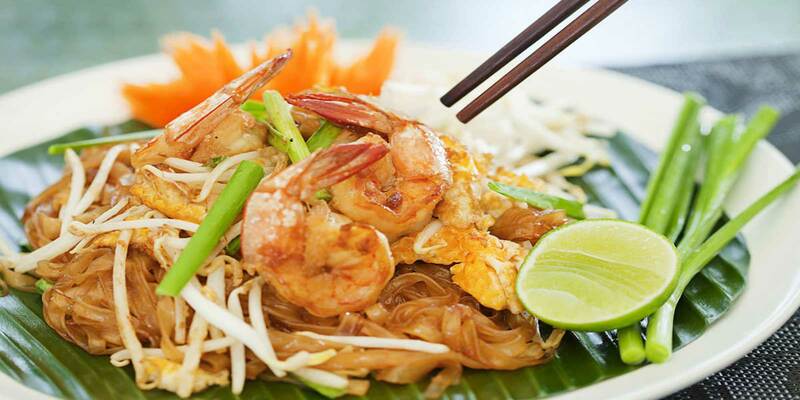 Whether it is Pad Thai, or some of our spicier and more exotic treats.